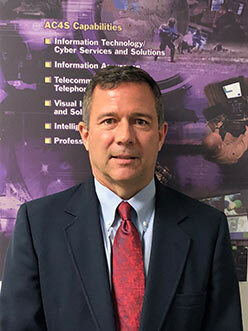 Mark Baines inspires the AC4S team in providing customers with responsive and reliable leading-edge solutions in military and civilian information technology, cyberspace, intelligence, joint tactical communications, mission support services, and tactical and commercial telecommunications. Mark’s high energy military career spanned 3 decades of progressive leadership including battalion and brigade commands, four years as a White House Presidential Communications Officer, and four years as Commandant of the NATO School in Southern Germany. He supported military operations around the world including Africa, East Asia, and the Middle East. Prior to joining AC4S Mark was hired by the Seneca Nation of Indians to run Seneca Solutions, a start-up that under his dedicated leadership grew to over 100 employees and over 25M in revenue within four years. In addition to his military commission from Norwich University, Mark obtained masters’ degrees in business administration from CMU and in military science from the Army War College, and received numerous military awards including the Defense Superior Service Medal, 2 Legions of Merit, a Bronze Star, the German Silver Cross Badge of Honor and the Presidential Service Badge.